As long as it agrees with, or can be interpreted to agree with, one’s beliefs. A good example of this is the big bang, for some strange reason last century everyone thought Einstein had all the answers. The big bang he came up with basing all the universe on a gravity theory, once examined with all the inconsistencies is actually quite laughable. When it is clear electricity is a stronger force than gravity. What went bang ? For all we know the universe could be infinite in space and time. Yet the big bang is just Dogma, a belief system that seems to dominate the stage of learning science, so it is not actually proven theory but a hypothesis. Yet it is forced down our throats when we are at the table of learning. Some real science here ,a table top experiment showing how electricity is stronger than gravity. If you have a better hypothesis, we’re all ears. And, yes, electromagnetism is stronger than gravity. The “strong force” inside nuclei is stronger than both (hence the name…). It’s because gravity affects everything, over large distances, that it is so fundamental. No, the big bang is a very poor example of this. We have, and have had for decades, very good evidence for the big bang. Evidence such as Edwin Hubble’s finding that the redshift of galaxies is roughly proportional to their distance from us, and the cosmic microwave background. We have more than enough to call it a theory as opposed to a hypothesis. There’s a reason why it’s pretty universally accepted among astronomers and cosmologists, and that reason is neither a grand conspiracy nor a lack of understanding of the evidence. The big bang theory didn’t come from Einstein, so I’m not sure why you seem to be trying to imply this. He even created the cosmological initially so that his theory of general relativity could be consistent with an static universe. The big bang also does not require that gravity be stronger than electricity, I’m really not sure where you pulled that from. Ashton you do have a sense of humour lol. There is no evidence for the big bang, cosmic background radiation has nothing to do with the big bang, but has been used to try to justify the theory. Red shift only determines how far away something is and is the light equivalent to the Doppler effect with sound waves. None of this is scientific proof of big bang theory and when things like quasars come along it throws the theory out. 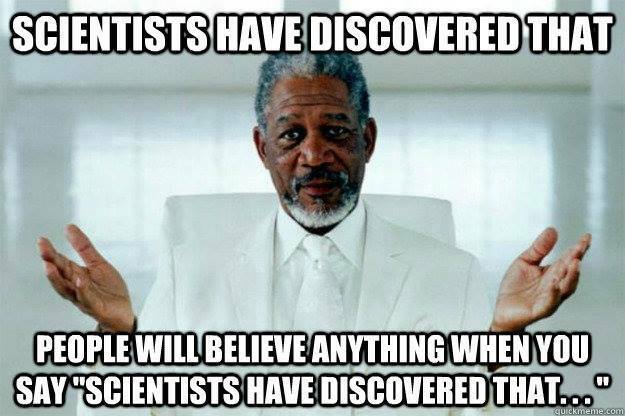 There are also astronomers and cosmologists that disagree with the theory but their voices seem to get drowned out. Wal Thornhill is one of these. There is an alternative theory called The Electric Universe. I am not saying it is the answer, but it is an important alternative for those that want to think outside the box. I did like the Big Bang Theory a lot but it is time for something new. I watched 6 episodes in a row on a plane to Brisbane and found the cliches a bit much. Looking forward to the Electric Universe – that sounds exciting. “Electric Universe” sounds like the title of a TV show from the 50s. Can’t see it appealing today. Sheldon: I’m not insane. My mother had me tested! The “Electric Universe” was a reasonable hypothesis for a while. One of the testable predictions was that there would be powerful electrical fields across the solar system. Once our spacecraft left the Van Allen belts behind they showed that the electrical fields present were magnitudes less than predicted by the hypothesis. Result – “Electric Universe” never made it to theory. FWIW, the electrical fields predicted would allow acceleration and deceleration across the solar system, using electromagnetics, without requiring onboard fuel supplies. Elon Musk wouldn’t need to develop the flying fuel tanks known as the Falcon rockets. I have seen this language being used by those who denounced cold fusion and well those who labeled it pseudoscience now as time goes on the truth comes out, have been shown up for their unscientific behaviour in dealing with a real life science and in fact not analyzing the facts as a true scientist would. If in fact the big bang was put under the same scrutiny I am sure the big bang would have been debunked a long time ago. Even a child will say “what went bang”, to have the audacity to even suggest the universe started “x “years ago and to say it was all squashed into a little itsy bitsy space. When the facts stand that we have not found the edge of the universe, it is infinitely huge from our perspective so far, this by occams razor makes the big bang look quite ridiculous. Funny you talk of Elon Musk and we all know what is his greatest achievement so far, yes the Tesla Motor car company. Speaking of Tesla, takes us to the heart of the problem of this whole debate. That is the difference between real practical physics and theoretical physics. Whilst the great scientific pioneer has all but been forgotten last century,and his contributions to science are still not fully understood. The contributions he has made to all of our lives, starts with the flick of a switch. Electricity generation and transmission which is available to most people on this earth, radio, remote control, electrical ignition for our petrol driven cars, blah blah blah. On the other hand we have Einstein who contributed nothing practical that we can put our hands on. In fact he has managed to sidetrack and bombozzle people, the mere suggestion that time is an entity in itself and not just a measuring tool, used to measure events is quite fanciful. But hey this is what we are being taught. Anyway seeing as TV shows are quite popular here is a short video which I think explains what I am trying to say, the difference between the theories and realities of Tesla and Einstein. Also the contrast between a gravity based universe (Einstein) and an electric universe(Tesla). Ever used a GPS unit? A laser? A solar panel? An integrated circuit? Heard about extra-solar planets (found through gravitational lensing)? The gyrocompass? So much of our modern technology leans heavily on Einstein’s work. Not to detract from Tesla, of course; he was also great. No Einstein did not invent any of that stuff. He gave us a theory that compares to religion. A speed limit that apparently isn’t true. A flawed gravity based theory that is actually ridiculous in the amount of unexplained stuff. Einstein’s theories are being debunked all over the place, why do people still cling to his theory like he is some sort of a prophet.